My grout is cracked and missing in places. How much does it cost to regrout? You recently purchased your first home and knew when you decided to buy it that it would need a few repairs and improvements to look its best. The bathroom was the place you wanted to tackle right away. At first, you thought a new coat of paint, a brighter light fixture, and perhaps new faucets and handles would do the trick, but after a closer look, you notice the tile grout is cracked and even missing in a few spots. 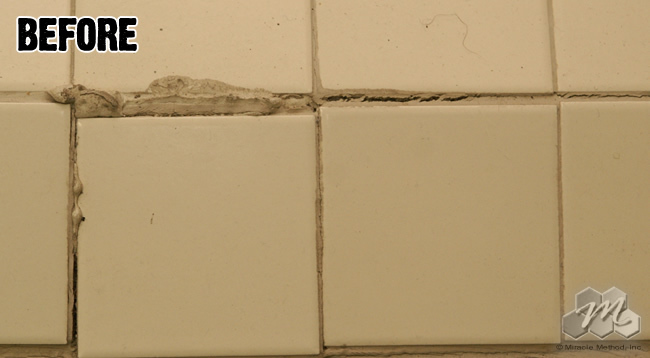 As nice as new tile or re-grouting sounds, you don’t have the money for it, but you know the issue has to be fixed before it becomes a bigger problem. 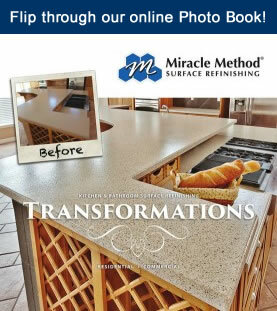 You start to search for alternatives and discover that Miracle Method Surface Refinishing not only offers tile refinishing services, but tile grout repair is part of their process. 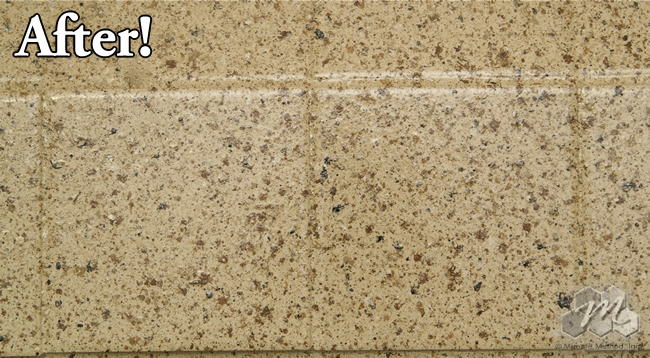 They will permanently seal your existing grout lines while applying an amazing stone-look finish to your tile shower. With a vast array of colors to chose from, you’re sure to find one you like. You’ll be left with tiles and grout lines that look like new, are easy to clean and maintain, and, best of all you save a lot of money for those other updates! Before: Cracked and damaged tile and grout in a shower. After: The cracks and damage have been repaired and the tile and grout are completely sealed. 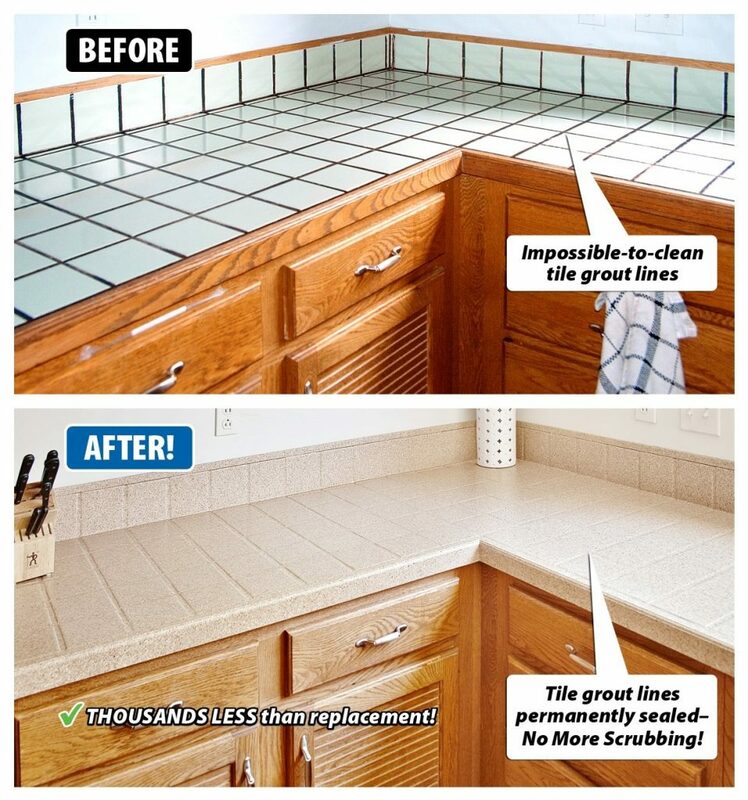 Visit the Miracle Method website to learn more about our tile refinishing and tile grout repair services. To reach a franchise near you, call 855-212-7337 or use our online locator.